The purpose of this rib file is to show the effect of applying additional transformations before WorldBegin. the xyz coordinates of the axis of rotation. A good way of understanding the last three values of the command is to consider the one and zero's to be switches ie. 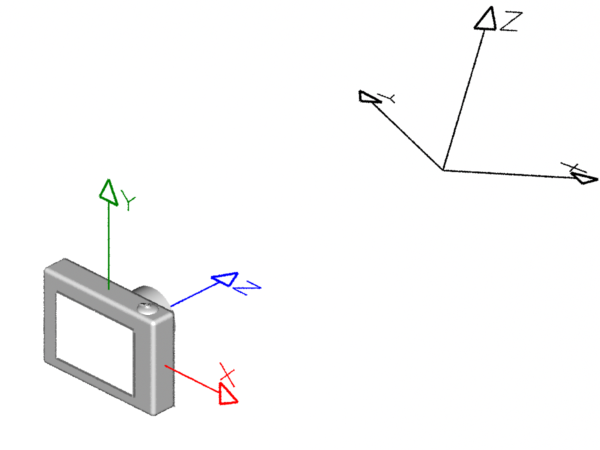 applied relative to the the current coordinate system. Two comments about the scene. Set the camera to give a perspective view with a field of vision of 40 degrees and a frame size of 320 by 240 pixels. The camera coordinate system is the current (active) system. The transformations are applied in reverse order. 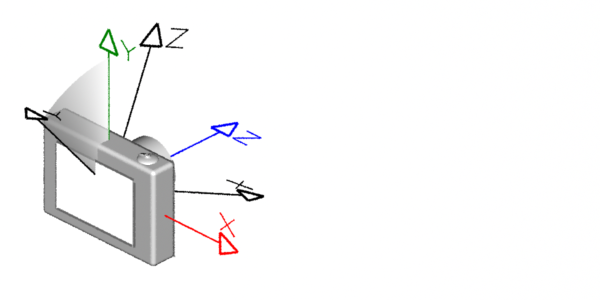 First, the negative rotation of 20 degrees around the y-axis is applied to a copy of the current coordinate system. 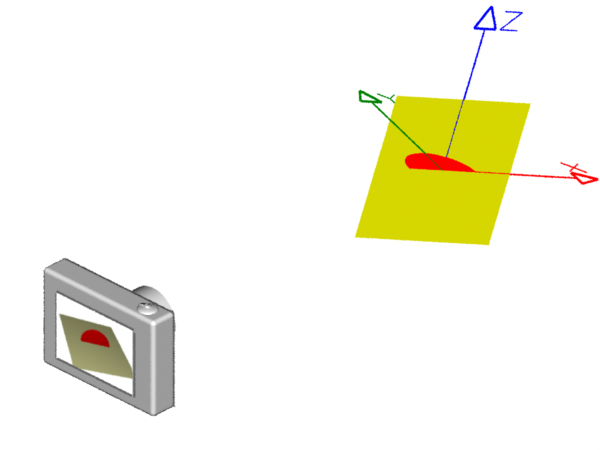 Next, the negative rotation of 40 degrees around the x-axis is applied to the copy. 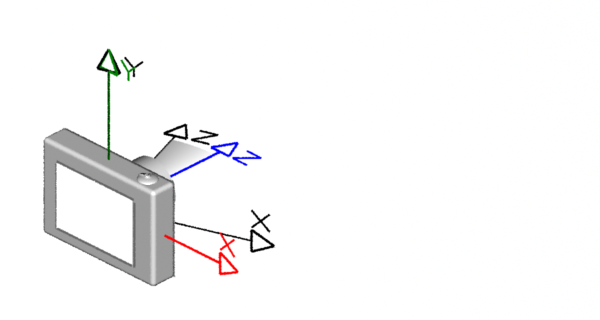 Move the transformed coordinate system 3 units along the z-axis of the camera. 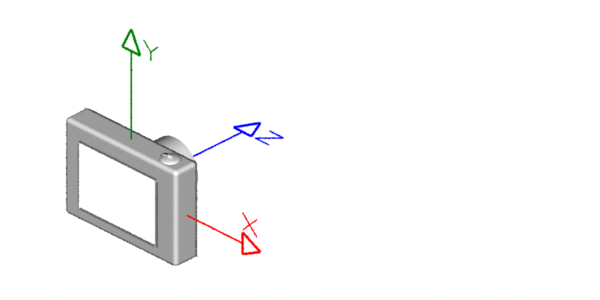 The copy of the coordinate system now becomes the primary, "world", or current coordinate system. Make yellow the current color. Insert a 1 x 1 polygon. Make red the current color. Conclude the description of the 3D scene.